Nabisco celebrates Oreo's 100th birthday right! 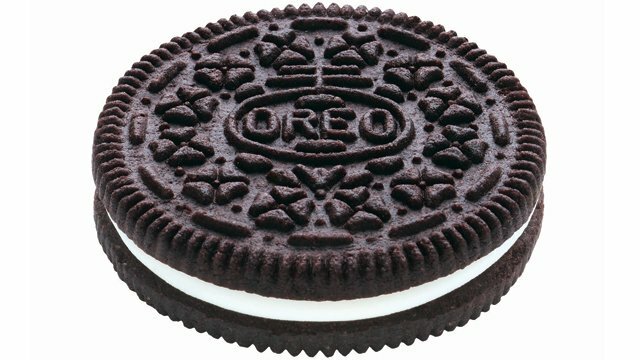 On March 6, 1912, the oreo was born. And Nabisco indulged in some pretty wonderful social media recently to kick-off the 100th b-day celebrations. 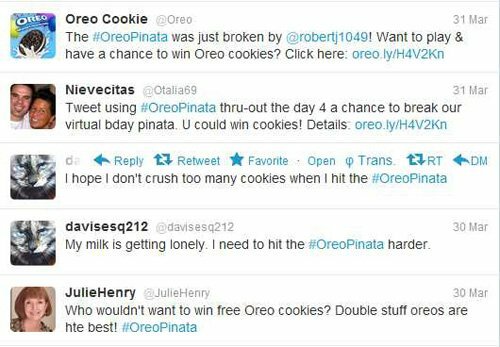 Oreo launched a lively game of #oreopinata on Twitter: every tweet using the #oreopinata hashtag constituted another thwack on the vitual papier maché. At seemingly random points in the day, the pinata burst open, sending a torrent of virtual oreos (well, ok – just a single package) down on lucky thwackers. According to 360i.com, Oreo gave away 30 packs of cookies per day for a week. This contest really did its job of “celebrating the kid inside all of us.” Take a look at some sample tweets. Folks really got into the swing of things with multiple swings at the pinata: they shared fond remembrances of childhood cookie crazes or dreamy rhapsodies on the double-stuf cream. Maybe FoO (Fans of Oreo) did it for the pack of cookies on-offer. And maybe they just did it out of lifelong cookie love. What can you do to build this kind of public loving and longing for your product?